The Rituals pendant lamp XL, created by the designers and architects Ludovica + Roberto Palomba for Foscarini, attracts attention because of its plasticity. The lamp moves playfully on the slim path between orient and occident. The challenge was to translate the weightlessness of oriental lanterns into a group of glass lamps. Their special style comes from the special technique of production: The glass is not turned inside of the casting mould (“a fermo”-technique). The special stripes appearance is realized in a special casting mould with negative decorations, which are repeated on the surface. Afterwards the glass is filed by hand and plunged into an acids bath, which offers a plaster look to it. 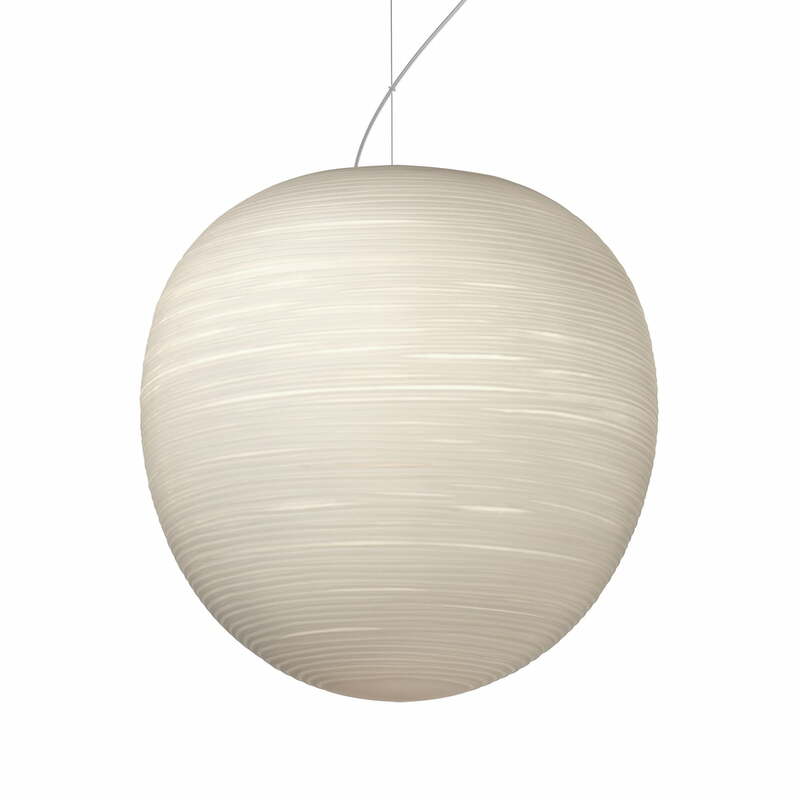 The diffuse light makes the Rituals pendant lamp XL suitable for different rooms and it re-interprets the magical look of rice paper or of the mulberry tree bark – which is the original material for Japanese lamps – by means of using blown and satined glass on a physical and precious way. Horizontal lines, which run through the surface of the lamps, create a soft and fascinating décor and they also influence the damping of the intensity of the light – and therefore spreading a full, warm and soft light. 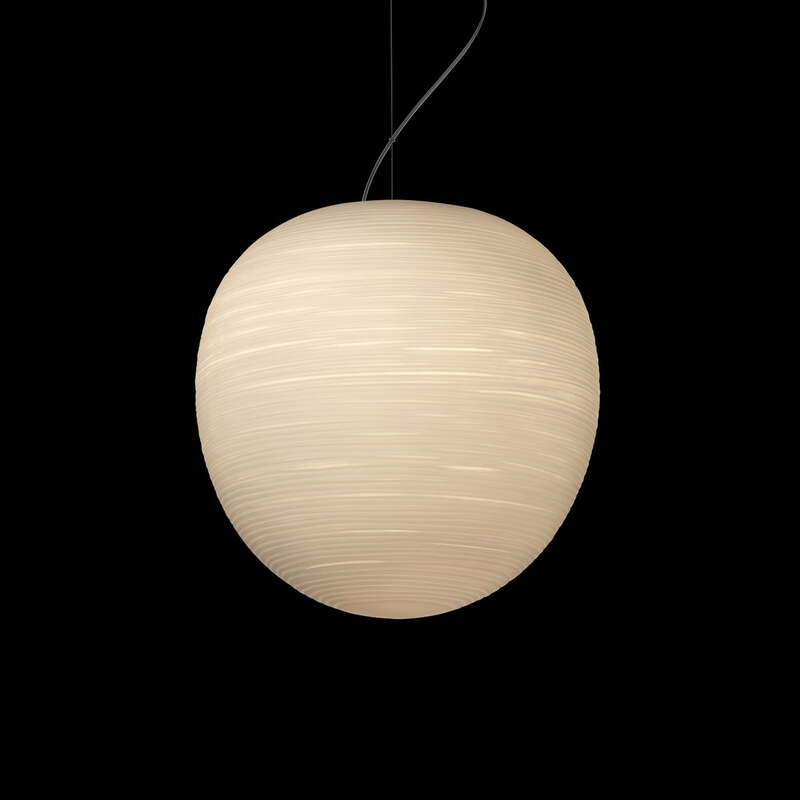 The paper-like body of mouth-blown glass makes the Rituals pendant lamp suitable to be used alone or in harmonic compositions of several lamps. 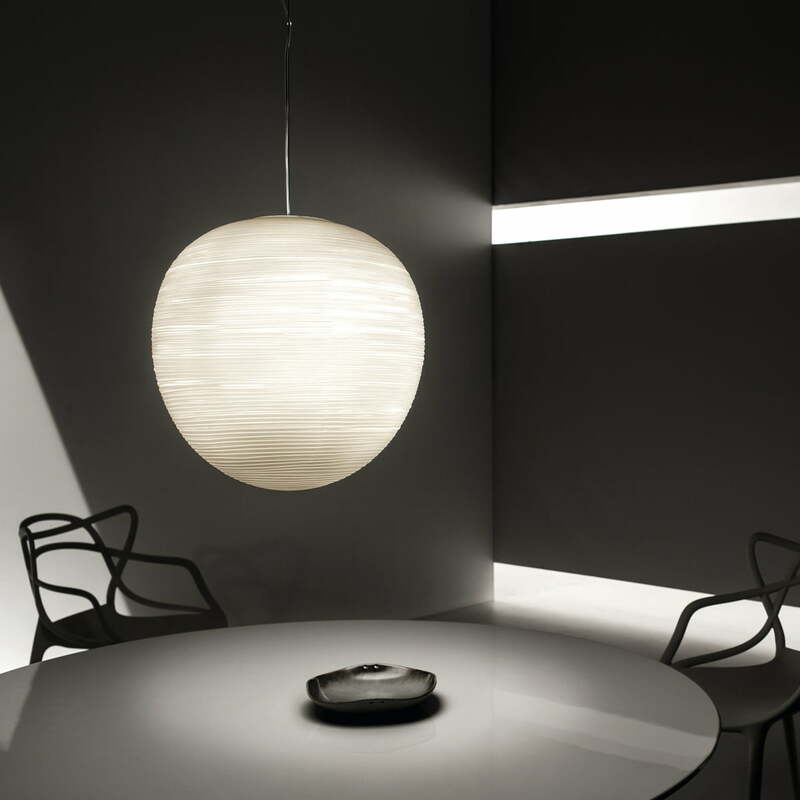 The Foscarini Rituals is also available as table lamp and as XL pendant lamp .